Humanizing the candidate experience is important because you’re giving candidates a glimpse into what it’s like to work at your organization. Treating people right will help attract and nurture candidates over time. 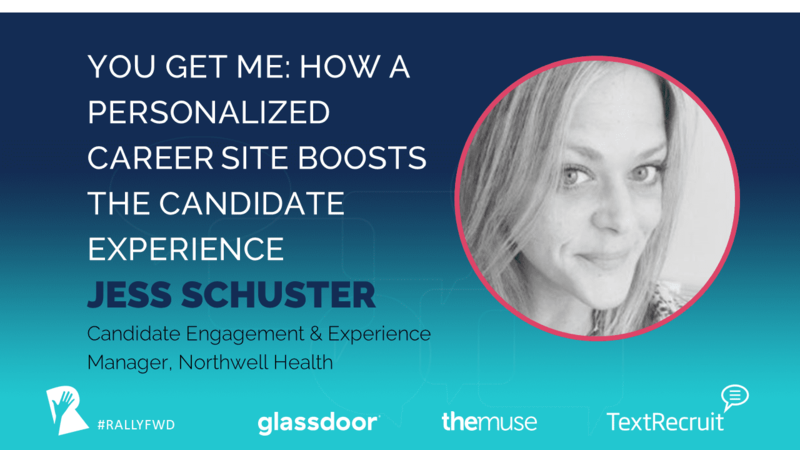 Jess Schuster is Candidate Engagement & Experience Manager at Northwell Health, New York State’s largest employer. Jess’ entire professional career spans at Northwell Health, beginning as a Talent Acquisition Coordinator, to her current role as Candidate Engagement Manger. She has played a fundamental role in the creation and expansion of Northwell Health’s ability to attract and retain top talent through its candidate engagement & experience function. By introducing innovative Recruitment Marketing ideas and strategies in numerous areas including careers website, digital & social media, content marketing, event management, and recruiting technology, Jess’ expertise has led to unprecedented success for the organization. Jess graduated from Rider University and holds degrees in Human Resource Management and Management & Leadership.